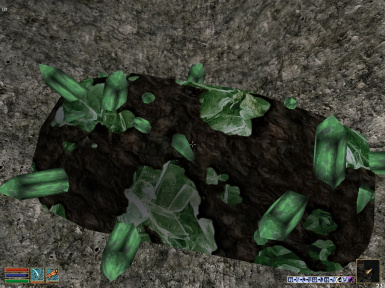 eplaces the three ore veins and the raw ingredients (which protrude from the veins) with high resolution textures. 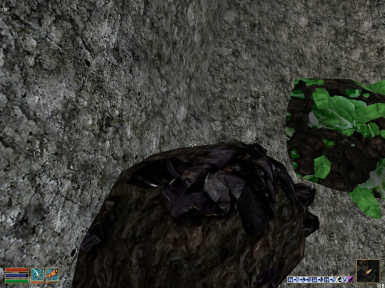 Replaces the three ore veins and the raw ingredients (which protrude from the veins) with high resolution textures. 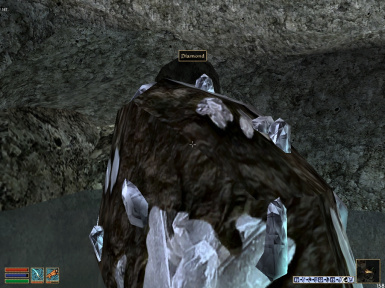 This mod replaces the textures for the Diamond, Ebony, and Glass ore vein rock textures. 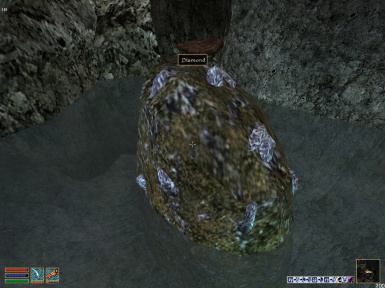 It also replaces the textures of the nodules that protrude from the ore rocks; these textures will also replace the textures for the corresponding ingredients. 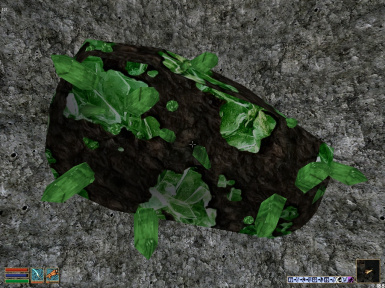 An alternative ore rock glass texture is provided, in case you don't like my more vibrant green version. 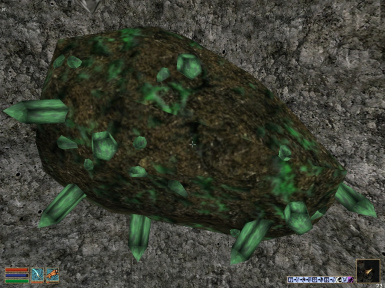 Ore rock textures are 512x512. New ingredient/crystal textures are 256x256. All are in .dds format. + Note that the ebony ingredient texture in this mod is different than the texture from my Soulgem Ingredient Retexture mod. Both ingredient textures will look fine on the new ebony ore rock texture, but the new ingredient texture will match better with the ebony ore rock texture. + ORR_New_Glass: contains 6 textures. The glass color is a more vibrant green than the vanilla color. + ORR_Vanilla_Glass: contains 5 textures. The glass ore rock texture will match the unaltered vanilla raw glass ingredient texture's color. 3. 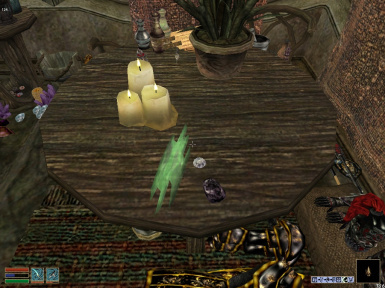 Start Morrowind and play. There is no effect on saved games and cannot corrupt any saves. This mod will conflict with another mod that changes the same textures. If that mod uses an .esp, then that mod will likely overwrite this one anyway. If not, then you will need to decide what textures you want to appear in the game. You may preview the textures with such free programs as Irfan View ( http://www.irfanview.com/ ), Windows Texture Viewer ( http://developer.nvidia.com/object/windows_texture_viewer.html ) or another dds viewing program (use google to search). Such a program will let you view the textures without having to start up your game. The ebony texture in this mod is different (and, in my opinion, better) than the one I made for my Soulgem Ingredient Retexture mod. 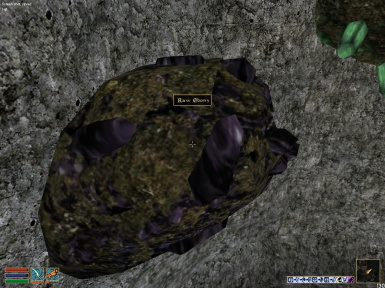 The new Ebony ore rock texture will look fine with either raw ebony texture. There shouldn't be any. This is a simple texture replacer and does not require any .esps. I doubt there will be any effect on the game's performance. 1.0, 2008/9/17 - Initial release. Thanks to the folks on the Bethesda forums for their support and feedback. You guys/gals are great! Thanks to the folks who created Irfan View (http://www.irfanview.com/).